I’ve always been someone who has either made their own BBQ sauce or altered store bought sauces. There’s just something about adding a few spices and making it my own that makes a huge difference. 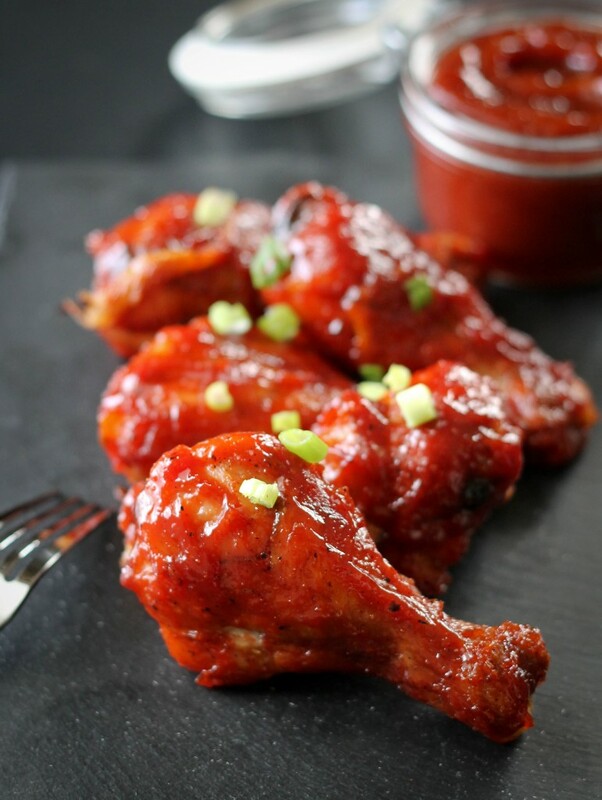 Making BBQ sauce from scratch is super simple! I’m sure you’ve all had that moment when you thought you had a full container of BBQ sauce only to discover that either it’s almost done or there’s none at all. With just a few ingredients that most of us have on hand and about 20 minutes, you can make your own BBQ sauce. 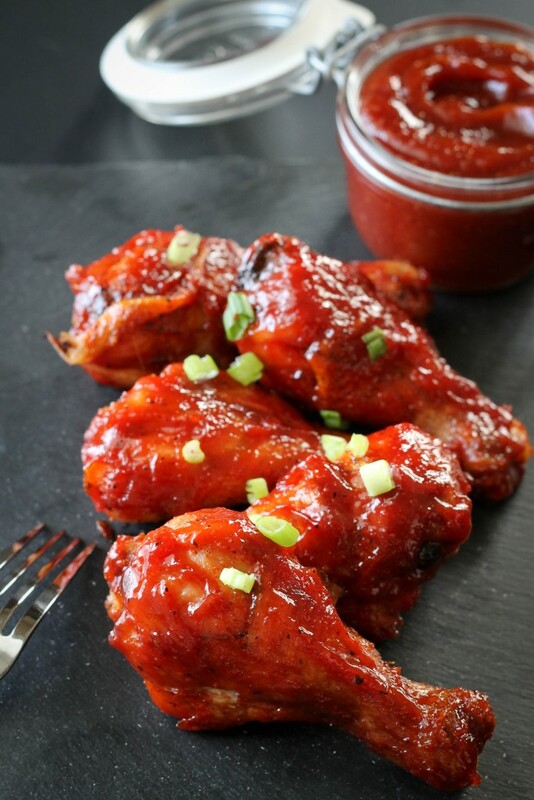 I love a sweet and smoky BBQ sauce but this recipe is easily customizable; if you prefer a more savory sauce then reduce the sugar, if you love spicy then add a pinch of cayenne pepper. I used this on chicken but it would be great on ribs or even as a topping for a burger patty! Place all ingredients in a small bowl and mix to combine. Cook over medium low heat for 20 minutes until it has thickened. Remove from heat and cool slightly before using. Toss all ingredients together; coat the chicken legs well. Place on a large baking pan and roast for 35 minutes. Brush with BBQ sauce every 5 minutes for the next 10-15 minutes until the sauce starts to bubble a bit.